f(x)'s Luna "f(x) hasn't disbanded...sorry for making you wait." Luna recently communicated with fans on V Live and one fan commented: "Did f(x) disband?" to which Luna answered "We haven't disbanded. We really won't. f(x) is still 'ing'." 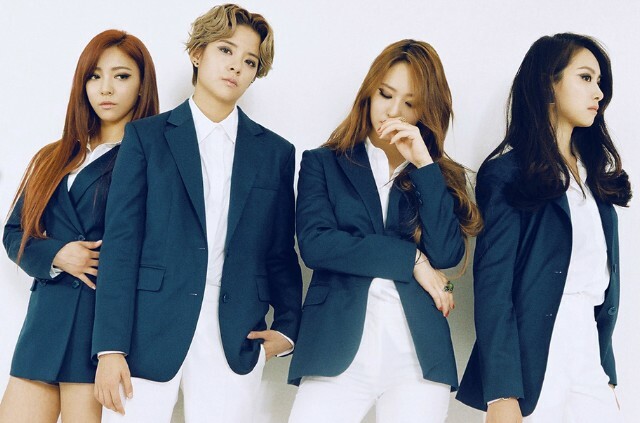 f(x) debuted in 2009 and is known for its electronic pop sound. Their last group comeback was with "4 Walls" in 2015 and since then, the group has been doing individual activities. Before singing "Sorry", one of f(x)'s hits, Luna said "I'm really sorry for making you wait so long. I'm sorry that we keep coming back as solo artists, we'll keep working hard so that the members and I appear together. I'm sorry."